It’s funny that the nation takes a day off the first Monday in September (unless you have a minimum wage job, in which case you’re probably selling grills or hot dogs) to celebrate the creation of unions. 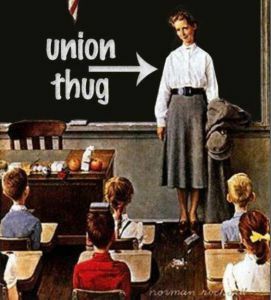 So many people are anti-union, especially when it comes to teachers unions. 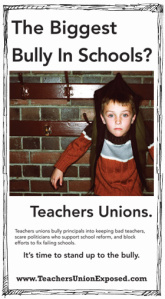 I can’t tell you how many articles and comments I’ve read that denigrate teachers unions. They talk about teachers as if we’re demanding raises at the expense of everything else. They paint us as nameless, faceless greedy Grinches who will sell your kid’s soul to the devil for ten cents more a year. This comes after the month long lovefest of articles celebrating the generosity of underpaid teachers who dip into their own meager resources to provide pencils and glue sticks for needy kids. Isn’t that ironic?